TPF6: Will #TPF6 be any different? Tusker Project Fame is here again in TPF6. In East Africa, this is the most loved reality/talent TV show since its debut in 2006. Given it’s similarity to South Africa’s Star Academy and the link the Star Academy has with Big Brother (not the Big Brother you know of but the original Big Brother), we may argue that Tusker Project Fame is East Africa’s Big Brother. The fact that Project Fame focuses on music talent also makes us compare it to American Idol. Compared to Big Brother, we can say that Project Fame does not come even close. Compared to American Idol, we conclude before hand that Project Fame is yet to register success stories. In Project Fame 1 the winner was Valarie Kimani from Kenya. Talented she is and she is working with big names such as MTV and others. Other than these deals we don’t have any music hits from her. Season two winner was Esther Mugizi from Uganda but other than that I don’t know anything else about her, and I’m tired of Googling to find out. Alpha from Rwanda won season three, had issues with Project Fame’s management, vented over the same on Facebook, and made a page for himself on Wikipedia. No known hits from him either. Season four saw Davis take the trophy and the millions. At the onset of season 5 there were rumors going round that he had squandered his prize money with Nairobi women. When asked about it during his performance at TPF5, he declined to comment. He has talent but there is nothing to show about it. 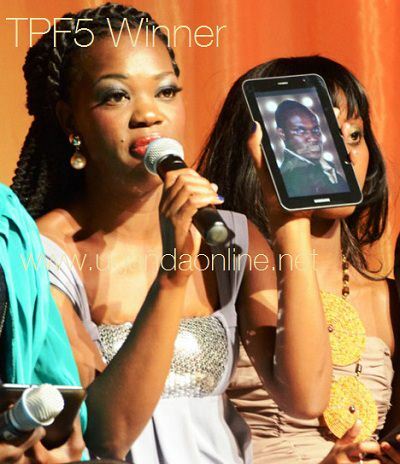 Then we had Ruth Matete who took the crown of TPF5 5. Well, a few weeks ago she confirmed that she is still working on her album. Let’s be patient and wait for her album launch. If you compare stories of the above contestants and the success stories from American Idol, then we realize that Project Fame is way behind in when it comes to producing real musicians. The complain by Alpha that Tusker does not nurture talent it produces from the Project Fame might be true (check here for top 10 idol success stories). Giving the winners a whooping Kshs. 5,000,000 as prize money plus the awareness, fame and ready audience seem not to be enough. Is there anything that TPF6 could do different? Probably no, probably yes. If there is a yes it would be my advice that in TPF6 they take a different approach in nurturing and the prize money question. My suggestion would be instead of giving out the whole Shs. 5 million in cash, in TPF6 and beyond the money can be split into two; 2 million to be given out in cash but 3 million to be given to a producer who must ensure that the winner has a hit song in under two years. Hope this time my favorite contestant won’t be shown the door very early just because she comes from a country with few people watching TPF6. My favorite happen to be the cutest I don’t know why.